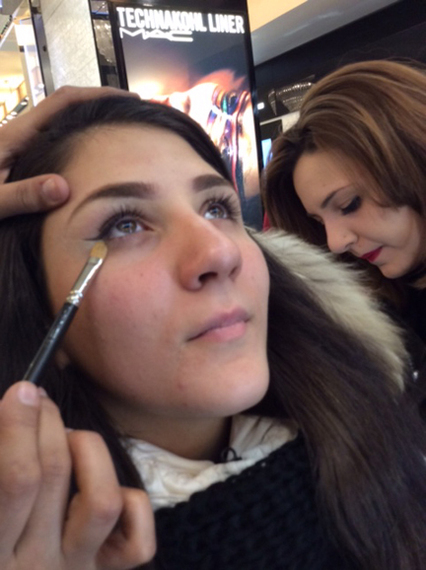 The Arab Eyebrow is the number one fashion and beauty news happening in London. It is everywhere, on Amal Clooney, on every woman that you pass on the street and surprisingly even on trendy blue eyed blonds lunching in San Lorenzo. The narrow pale soft eyebrow is OUT! The Arab eyebrow is IN! I rushed off to Harrods to their make up department on the ground floor to understand this fashion phenomena and to get Arab eyebrows for myself. 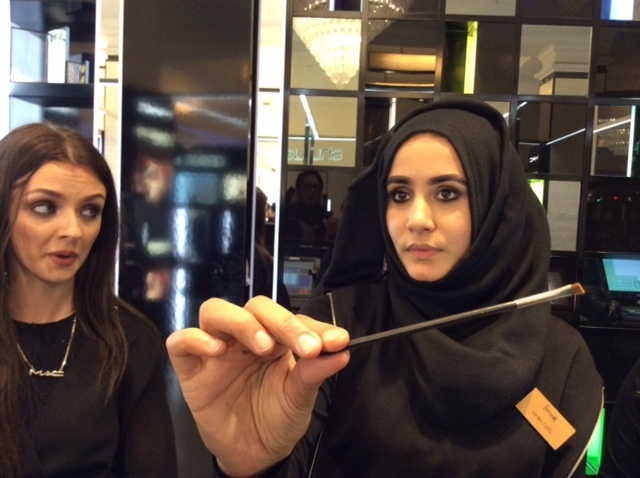 I met the MAC saleswomen wearing nigabs and hijabs who found a willing shopper to model and demonstrate The Art of the Eyebrow to me. They explained that there are actually 4 Arab eyebrows. 4. The Arab Brow , extra large, dark, square edge and perfectly defined with special brushes to contour the edges in beige cream. I was told this brow was inspired by sixties super women, Elizabeth Taylor and Sophia Loren. There are five products to purchase for the Arab Eyebrow including a gel brush to absorb the black brow color, a black brow cream, a beige cream to outline and shape the brow and two angled brushes to shape the hard square edges. 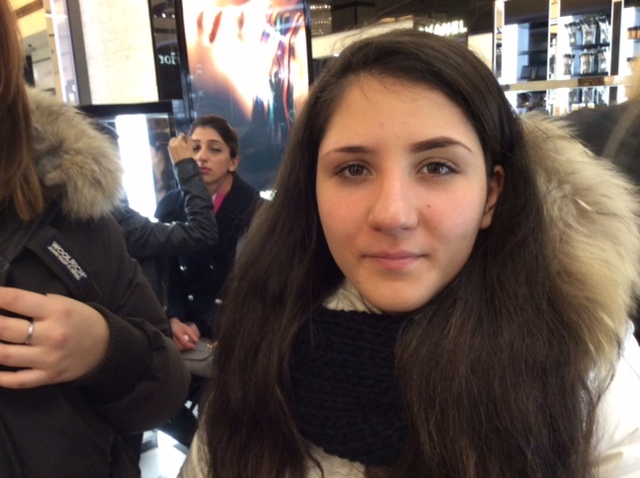 There were Arab women everywhere shopping in Knightsbridge, each covered in hijabs yet each with magnificent eyes. There were women covered up in burkas but they were often grandmas, as most of the mothers and daughters had their eyes or faces exposed. This exciting eyebrow and blackened eyes are all these covered women have to show off their charm and their personality and they make the most of it, even starting the hottest trend in beauty. Amazingly these magnificent eyebrows help produce magical powerful eyes. Are Arab women beginning to exert their power through their eyes and their expressions?